I’m plants woman, Pamela Barden, and I am the face behind Painted Fern Garden Design. Plants have been a passion of mine for as long as I can remember and I can’t imagine ever being without them. As a child I used to dream about plant hunting in the jungle. I had a successful career in Graphic Design and management for many years before I had children, but always felt frustrated that this wasn’t my true calling. I studied Garden Design in 2002 at The English Gardening School based at the Chelsea Physic Garden. I have also trained with renowned tutor, Hilary Thomas, on Planting Design. I decided to follow my heart after having children and move into the horticultural world. Having worked for Hilliers I received hands on experience of caring for plants and helped clients in selecting a palette of plants that would work together to suit their tastes and site conditions. I’ve been gardening my own plots since 1999 in Surrey and Kent and have also managed an allotment. My specialisms are in woodland plants, plants for shade and plants from the antipodean and South American regions, but may well get tempted by anything that isn’t mainstream provided I think I can grow it. Many of the plants I do grow in the Painted Fern garden are rare and unusual and I like nothing better than showcasing some of the more unusual species that most people have not come across before. I have previously opened my garden locally for charity and for the National Garden Scheme. 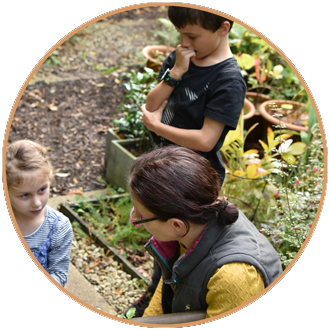 I like to keep up-to-date by going on CPD days (Continual Professional Development) and have recently covered designing gardens for children, front gardens and green walls. I am currently studying for my RHS Level 2 Certificate in the Principles of Horticulture. 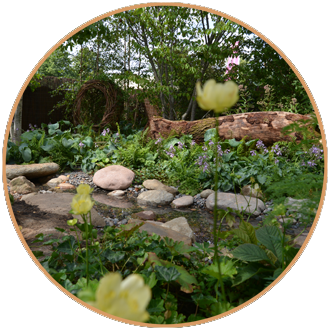 In 2017 I worked on the woodland planting of the Zoflora and Caudwell Children's Wild Garden at the Hampton Court Palace Flower Show, designed by landscape architects Adam White and Andree Davies of Davies White Ltd. The garden achieved a RHS Gold medal, Best in Show Tudor Award and People's Choice Award, the first garden to ever achieve all three accolades. My planting design style marries structure, texture and colour whilst using unusual, but easy to grow varieties. I am very passionate about making gardens that look good and have something to offer every day of the year. My design ethos is driven by a passion for what I do and a love for plants. "My design ethos is driven by a passion for what I do and a love for plants"